Visiting the realms of the Greek gods is a common occurrence for online slots fans and Quickspin Gaming have now given us one more opportunity to check out their powers. This time this Greek Titans are the focus in Titan Thunder, a classy-looking game which adds a random sixth reel to the set, invoking god-like events and extra features. 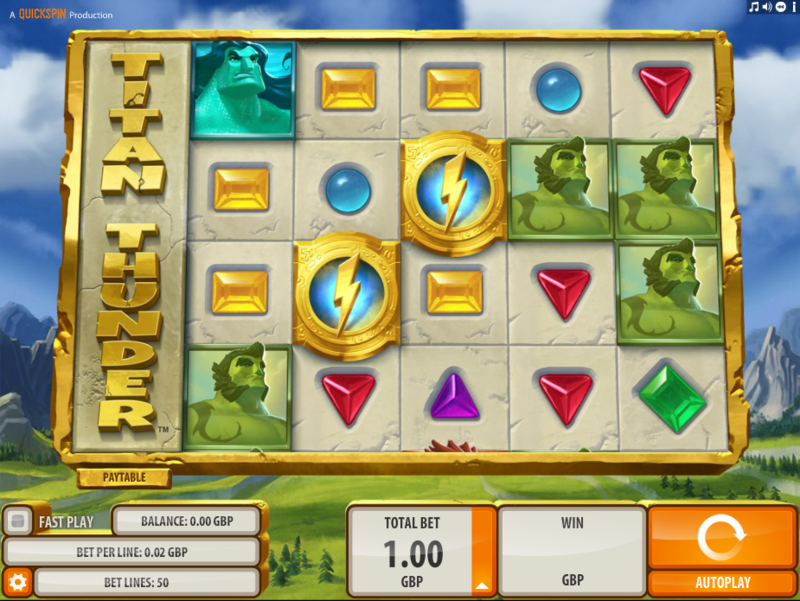 Titan Thunder is a five reel slot with four rows and fifty fixed paylines; the reels spin on a jaded golden tablet which is floating in the air in front of landscape containing mountains, meadows and drifting clouds. Five of the Titans are the high value symbols and they are of different colours – red, blue, light blue, green and brown; five coloured gems represent the lower values. 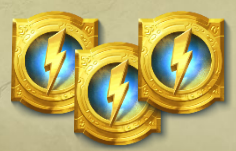 The wild symbol is a big gold Wild and the scatter icon is a gold lightning strike on a blue background. This is a randomly occurring extra feature during the base game only; you will hear some dramatic music and then the Titan Thunder reel on the left will drop away to reveal an extra one to make a total of six. At the same time lighting will strike the reels, adding up to eight more wilds to those zapped positions. The reels will then be evaluated for any new wins after which the left hand reel will be covered up once more. This is triggered by landing three of the lightning strike scatter symbols anywhere in view and initially you will receive eight free spins. During the spins the sixth reel is active and as you can see from the video above one of the Titans is chosen to be wild throughout the spins. That wild symbol becomes a larger 2×2 symbol as does one more randomly-picked Titan per spin until the round ends. 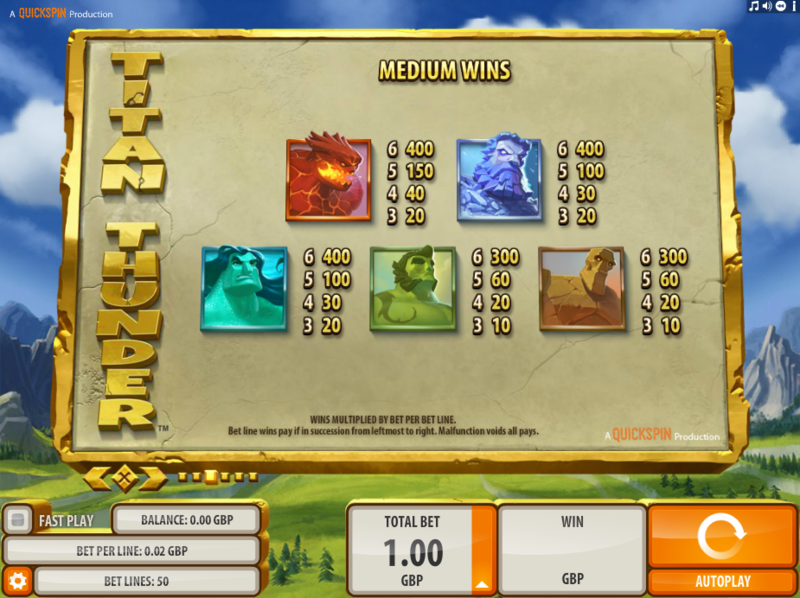 Quickspin slots are generally of a very high quality and Titan Thunder is no exception; the extra reel is a nice addition and the free spins round also offers something a little bit different. The RTP is a decent 96.50%.